Recently I moved to the mountains of Colorado from the plains of Kansas. There were many reasons we moved here, but one of the major factors was the endless outdoor adventures we would have right in our backyard. Now, every Saturday, my boyfriend and I venture out to a new and exciting outdoor excursion. With every new experience, I make mistakes and learn something new for the next weekend adventure. Below are some tips for making the most of your own outdoor experience, so that hopefully you don’t have to struggle through the same mistakes I did. One of the most important items to pack is water — and plenty of it. It should be the first thing you pack and the last thing you run out of. We take our dogs on some of our hikes, so ensuring that they have plenty of water is also very important. When you think you have enough packed, add at least one more bottle just to be on the safe side. I also recommend packing some snacks. We normally take a few peanut butter and jelly sandwiches because they’re easy, cheap, have good protein and don’t need to be kept cold. Alternative options are trail mix, protein bars or even homemade protein balls. Once again, don’t forget about your furry friends if they are tagging along with you. Homemade protein treats are just as good for them as they are for you! One major element of outdoor activities that I finally seem to have a decent grasp on is the importance of dressing according to your adventure. 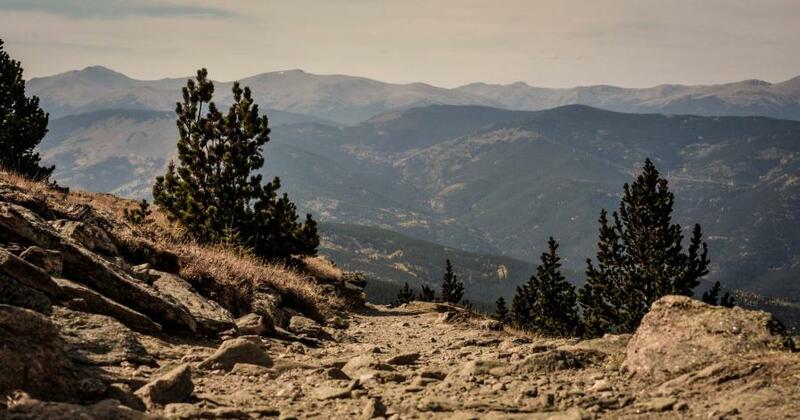 For example, here in Colorado, the temperature varies depending on what altitude we are at, and whether we are hiking in the shade or the sunshine; how easy or difficult the trail is also becomes a deciding factor. I recommend always wearing layers, or at least taking a jacket with you. Consider the different climates as you travel to new places as this, paired with the weather forecast, can greatly affect your adventure apparel. The shoes you wear are also something that should be at the top of your consideration list. When we first moved here, I wore old running shoes on our first few hikes. After I bit the dust on a few inclines because I didn’t have enough tread for traction, I switched to hiking boots. Save yourself a few scars and be aware of the types of terrain you will be on. Another tip to save you some unnecessary pain: Do not buy new shoes the night before your hike! This will only result in sore and blistered feet. Be sure to plan ahead and, if you do decide to purchase new shoes for your upcoming outdoor experience, break them in BEFORE you start hiking. Otherwise, you will get blisters halfway through and then come to the realization that you can’t just catch an Uber back to your car. Your hike back will be quite uncomfortable and much less enjoyable. Finally, I am all for venturing into the wilderness with no schedule and wanting to experience nature in its purest form… but getting lost somewhere you are incredibly unfamiliar with takes the fun out of an adventure. Most of the trails we have explored have had a map at the beginning and a few signs every mile or two letting hikers know which trail they’re on — but that’s it. After getting turned around a few times, I have learned to take a picture of the map just in case we need it along the way. Hopefully when you are getting ready for your adventure, you remember my three “must haves” for your outdoor excursion. No matter where you will be exploring, pack plenty of water and snacks, wear the appropriate attire from top to bottom, and have a good resource, whether it’s an app or a map, to make sure you can find your way out. And finally, don’t forget to have fun! 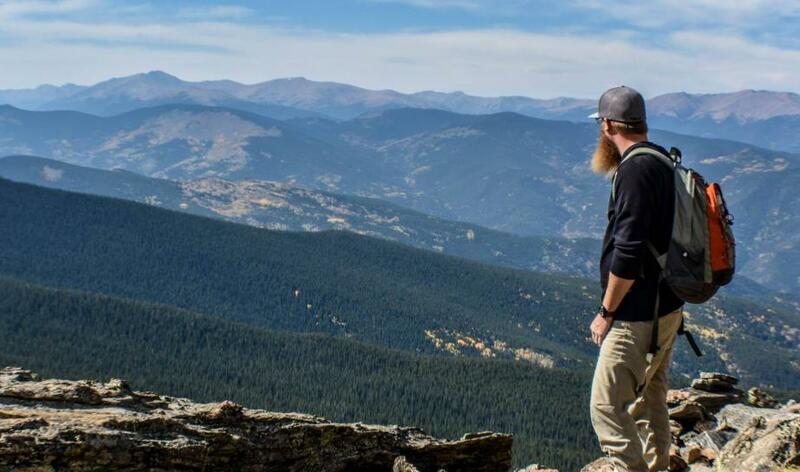 Having recently moved from the plains of Kansas to the mountains of Colorado, you’re most likely to find this active adventurer exploring the beauty of her new home. When she’s not at the office, Diana is often hiking a new trail with her camera, her boyfriend and her two four-legged friends, or taste-testing beer at a local brewery and enjoying a burger.